But such a donation would need to be accepted and appropriated by the City Council, which already voted 6-3 to eliminate the position. 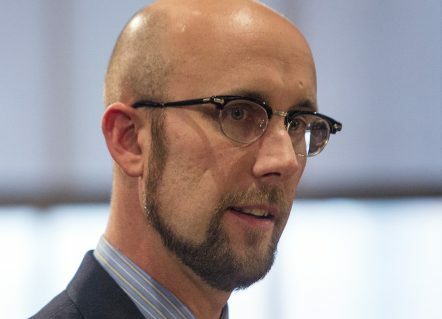 A small group of Portland residents is offering to raise money to fund the special assistant to the mayor after it was eliminated from the budget by the City Council. But the city manager says that the effort would likely be rebuffed, since the council has already deemed the position to be unnecessary. Peaks Island resident Timmi Sellers asked the city in a May 18 email how residents could earmark a donation to pay for Jason Shedlock’s salary, which would have been roughly $69,000 next year. Sellers, who was impressed that Mayor Ethan Strimling and Shedlock recently attended a meeting on Peaks Island to hear concerns about the loss of mainland parking, said in an interview that she was moved to act after watching the emotional debate leading up to the City Council’s May 15 vote. Sellers said she and a few other neighborhood leaders, who she declined to identify, were interested in raising money, but wanted to first check with the city about the legality before launching the effort. Residents are allowed make donations to the city. According to the City Council’s rules, donations in excess of $5,000 must be accepted and appropriated by the council, which voted 6-3 to eliminate the position, partly because it was unpopular with their constituents. After receiving the city’s response, Sellers said Wednesday she would be meeting with family, friends and some neighborhood organizations next week to figure out their next steps. The elimination of the mayor’s assistant marked what may be a new low in the relationship between the council and Strimling, who said the cut “undermines democracy” by hindering his ability to respond to constituents and draft new city policies, among other tasks. Instead, Strimling called on the council to form a task force to review the City Charter and offer recommendations about ways to make the mayor’s office more effective. That idea was immediately shot down by some councilors, who noted that the city has had two legal reviews of the charter, including one that cost nearly $22,000, explaining the mayor’s role.